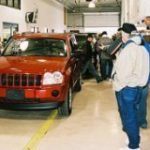 Arming yourself with knowledge of the most popular car buying scams before you purchase will help you avoid getting scammed and ripped off by unscrupulous dealers. Most of the car dealers you’ve ever interacted with are nice, law abiding folks who are simply doing their jobs. Unfortunately, over the years, some of the sales people and finance managers at new and used auto sellers have resorted to methods which induce unsuspecting buyers to fall for scams that cost them more money and hassle. But you need not fall into this trap. All you need is to do your homework ahead of time along with some other advanced planning tasks. Provided you are diligent and don’t allow yourself to become impatient, you should find that you are able to get the very best deal on your next auto purchase. Financing Fell Through: If you receive a call a week or two after buying your car and the dealer tells you that you need to pay more money and/or will have higher payments than previously thought, beware you are being scammed. Sometimes this is a legitimate call, but sometimes this is a trick dealers use to convince you to pay more than you wanted to for a new vehicle. The best way to fight this scam is to line up your financing before you buy from a dealer. Lying About Your Credit Score: If a dealership can lie to you about your score, they might be able to convince you to pay a higher interest rate. It happens since most people do not know what their actual, current score is. Know yours before you go car shopping. Better yet, get your financing from a source other than a car dealer before you ever get told lies to. 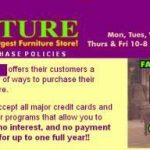 No Trade In Pay Off: If you’re planning on trading in a car you still owe money on, be sure to work with a reputable dealer (see Best Places to Buy A Used Car for more info). Some unscrupulous dealers will tell you that they’ll pay off your old loan with proceeds from your new loan, but then they don’t (and pocket your loan payoff as profit). If the dealer doesn’t pay off the loan on your trade, the loan responsibility is on you. To combat this one, be sure that the dealership includes your loan payoff on both the buyer’s order and the installment contract. Many new car dealers actually require you to confirm that you have a payoff on your trade as part of their normal process, so this is really only a concern if you’re working with a fly-by-night, small time dealer. Straw Purchase Scam: If you know you have bad credit, be prepared for the dealer’s finance department to inform you of the need for a co-signor. The scam here is they will then attempt to get the actual car loan in that person’s name (and credit rating,) and not yours. The best way to fight this scam is to have your co-signor with you, and ensure they are only signing contracts that relate to them helping you get your own loan. Of course, you’d still be better off getting your financing on your own away from the dealer. Your Financing Check Bounced: So you decided to get your financing ahead of time and chose an online lender only to be told by the sales person that the check you’re trying to pay with bounced. This is a huge, deceitful scam that some dealers try to use so they can save the day and provide you with financing from their own sources. Don’t fall for it. Get up and walk away. You don’t need that car bad enough to waste the hard work and preparations you’ve done. Excessive Fees & Charges: While not necessarily a scam, per se, when you see destination charges and other dealer fees hard coded in the vehicle’s invoice, realize these are all negotiable. If you don’t feel that what they are charging you and calling it is worth the cost, request that it be deducted from your sales price. If they refuse, there’s likely another dealer a few miles away who will remove those fees to make the sale. About this post: Raymond Fisher is a freelance writer who specializes in car insurance. Fisher writes many articles about the best ways for consumers to get a car insurance quote.